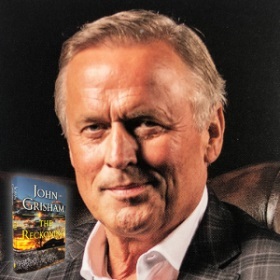 De Amerikaanse schrijver John Grisham werd geboren in Jonesboro, Arkansas, op 8 februari 1955. Zie ook alle tags voor John Grisham op dit blog. 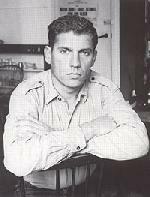 “On a cold morning in early October of 1946, Pete Banning awoke before sunrise and had no thoughts of going back to sleep. For a long time he lay in the center of his bed, stared at the dark ceiling, and asked himself for the thousandth time if he had the courage. Finally, as the first trace of dawn peeked through a window, he accepted the solemn reality that it was time for the killing. The need for it had become so overwhelming that he could not continue with his daily routines. He could not remain the man he was until the deed was done. Its planning was simple, yet difficult to imagine. Its aftershocks would rattle on for decades and change the lives of those he loved and many of those he didn’t. Its notoriety would create a legend, though he certainly wanted no fame. 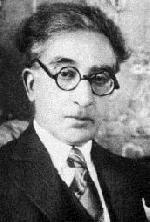 Indeed, as was his nature, he wished to avoid the attention, but that would not be possible. He had no choice. The truth had slowly been revealed, and once he had the full grasp of it, the killing became as inevitable as the sunrise. He dressed slowly, as always, his war‑wounded legs stiff and painful from the night, and made his way through the dark house to the kitchen, where he turned on a dim light and brewed his coffee. As it percolated, he stood ramrod straight beside the breakfast table, clasped his hands behind his head, and gently bent both knees. He grimaced as pain radiated from his hips to his ankles, but he held the squat for ten seconds. He relaxed, did it again and again, each time sinking lower. There were metal rods in his left leg and shrapnel in his right. Pete poured coffee, added milk and sugar, and walked outside onto the back porch, where he stood at the steps and looked across his land. The sun was breaking in the east and a yellowish light cast itself across the sea of white. The fields were thick and heavy with cotton that looked like fallen snow, and on any other day Pete would manage a smile at what would certainly be a bumper crop. But there would be no smiles on this day; only tears, and lots of them. To avoid the killing, though, would be an act of cowardice, a notion unknown to his being. He sipped his coffee and admired his land and was comforted by its security. Below the blanket of white was a layer of rich black topsoil that had been owned by Bannings for over a hundred years. Those in power would take him away and would probably execute him, but his land would endure forever and support his family. Mack, his bluetick hound, awoke from his slumber and joined him on the porch. Pete spoke to him and rubbed his head. 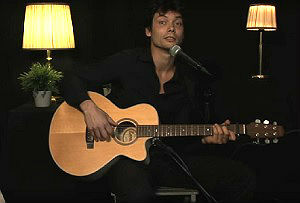 De Nederlandse dichter, songwriter en musicus Robin Block werd geboren op 8 februari 1980 in Heemskerk. 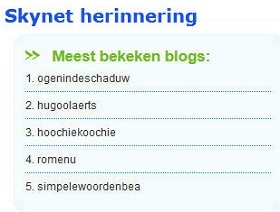 Zie ook alle tags voor Robin Block op dit blog. 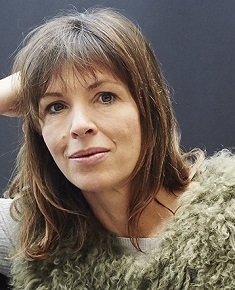 De Canadese schrijfster Rachel Cusk werd geboren op 8 februari 1967 in Saskatoon. Zie ook alle tags voor Rachel Cusk op dit blog. “An astrologer emailed me to say she had important news for me concerning events in my immediate future. She could see things that I could not: my personal details had come into her possession and had allowed her to study the planets for their information. She wished me to know that a major transit was due to occur shortly in my sky. This information was causing her great excitement when she considered the changes it might represent. For a small fee she would share it with me and enable me to turn it to my advantage. She could sense—the email continued—that I had lost my way in life, that I sometimes struggled to find meaning in my present circumstances and to feel hope for what was to come; she felt a strong personal connection between us, and while she couldn’t explain the feeling, she knew too that some things ought to defy explanation. She understood that many people closed their minds to the meaning of the sky above their heads, but she firmly believed I was not one of those people. I did not have the blind belief in reality that made others ask for concrete explanations. 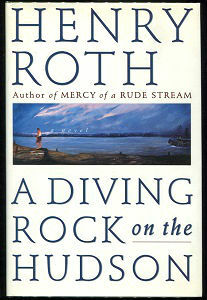 She knew that I had suffered sufficiently to begin asking certain questions, to which as yet I had received no reply. But the movements of the planets represented a zone of infinite reverberation to human destiny: perhaps it was simply that some people could not believe they were important enough to figure there. The sad fact, she said, is that in this era of science and unbelief we have lost the sense of our own significance. We have become cruel, to ourselves and others, because we believe that ultimately we have no value. What the planets offer, she said, is nothing less than the chance to regain faith in the grandeur of the human: how much more dignity and honor, how much kindness and responsibility and respect, would we bring to our dealings with one another if we believed that each and every one of us had a cosmic importance? She felt that I of all people could see the implications here for improvements in world peace and prosperity, not to mention the revolution an enhanced concept of fate could bring about in the personal side of things. She hoped I would forgive her for contacting me in this way and for speaking so openly. As she had already said, she felt a strong personal connection between us that had encouraged her to say what was in her heart. De Amerikaanse dichteres en schrijfster Elizabeth Bishop werd geboren op 8 februari 1911 in Worcester, Massachusetts. 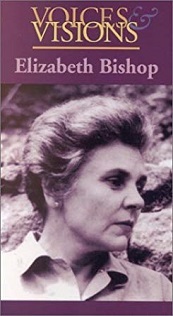 Zie ook alle tags voor Elizabeth Bishop op dit blog. He’s gone off with his other friends. this occasion’s all his fault. across the street at Flossie’s place. to th’ accompaniment of the piccolo. The time has come to call a halt. and hit him twice with my umbrella. but the time has come to call a halt. Go drink your wine and go get tight. I’m sick of all your fussing anyway. Now I’m pursuing my own way. I’m leaving on the bus tonight. I’ll ride and ride and not come back. and it will take me anywhere. For this occasion’s all his fault. De Amerikaanse schrijver Neal Cassady werd geboren op 8 februari 1926 in Salt Lake City. 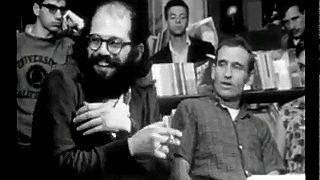 Zie ook alle tags voor Neal Cassady op dit blog. DEAR ALLEN; Can you ever forgive me? I mean it, can you? Really, I feel very guilty about my failure to write; of course, I could rationalize myself indefinitely concerning all the lack of time I’ve had, troubles etc., however, I shan’t do that for I should have written anyhow. The real reason I’ve failed to is, I think, due to my not knowing what would happen next. As I received your last letter I was packing to go to Las Vegas & gamble. Quickly I dashed off a letter telling you so, & the reasons why, then, before I mailed it, I had a minor brush with the police which, incidentally, caused me to move to this address. This change in plans voided my unmailed letter, so I started another, but just then I got a job, and I mean a job! Honestly, I work ten hours a day and it’s so hard on me that even after ten days at it, I can still hardly drag myself home to fall into bed. I have not done anything, haven’t seen Justin, (although I phoned him two weeks ago and made a date), haven’t seen Hal, haven’t even written to you, man, I’ve been beat into the ground by this hard work; enough of these excuses, onward. Your last letter was a pip, truly the best you’ve written; insofar as the groove we’ve been striving for it’s perfect. I feel as I reread it that you’re right in there, now all we need is for me to fall into it properly. Of course, you’ve forgotten most of what you wrote but that’s not important. You’re in! 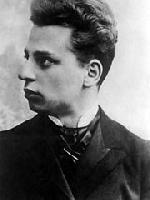 De Amerikaanse schrijver Henry Roth werd geboren op 8 februari 1906 in Tysmenitz nabij Stanislawow, Galicië, in het toenmalige Oostenrijk-Hongarije. Zie ook alle tags voor Henry Roth op dit blog. De Duitse dichteres en schrijfster Eva Strittmatter werd als Eva Braun geboren op 8 februari 1930 in Neuruppin. 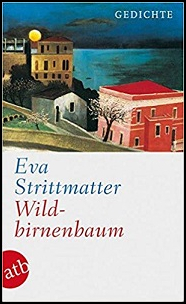 Zie ook alle tags voor Eva Strittmatter op dit blog. In deinen Himmel.Schick sie her. Geheimnis,das ich mit dir teile. Für dieses Rätsel im Gedicht. So sehr ist es gemacht aus Licht. Zu leben besser als ich. Ich weiß nicht: Ist das eine Gunst Des Schicksals? Fällt alles mit Gewalt herab. Wie ein Steinschlag trifft mich das Glück. Und Unglück ist für mich das Grab. Ich stürze ins Nichts zurück. Bis an den Schrei ertragen. Ich sehne mich sehr nach Freiheit. Leicht und im Licht möcht ich sein. Arbeiten. Aber auch: einfach sein. De Oostenrijkse dichter en schrijver Gert Jonke werd geboren op 8 februari 1946 in Klagenfurt. Zie ook alle tags voor Gert Jonke op dit blog. De Franse schrijver Jules Verne werd geboren in Nantes op 8 februari 1828. Zie ook alle tags voor Jules Verne op dit blog. “Pas le moindre souffle, pas une ride à la surface de la mer, pas un nuage au ciel. Les splendides constellations de l’hémisphère austral se dessinent avec une incomparable pureté. Les voiles de la Bounty pendent le long des mâts, le bâtiment est immobile, et la lumière de la lune, pâlissant devant l’aurore qui se lève, éclaire l’espace d’une lueur indéfinissable. La Bounty, navire de deux cent quinze tonneaux monté par quarante-six hommes, avait quitté Spithead, le 23 décembre 1787, sous le commandement du capitaine Bligh, marin expérimenté mais un peu rude, qui avait accompagné le capitaine Cook dans son dernier voyage d’exploration. La Bounty avait pour mission spéciale de transporter aux Antilles l’arbre à pain, qui pousse à profusion dans l’archipel de Tahiti. 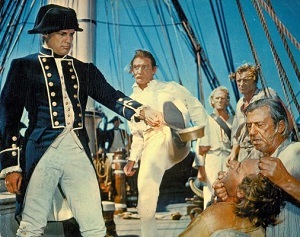 Après une relâche de six mois dans la baie de Matavaï, William Bligh, ayant chargé un millier de ces arbres, avait pris la route des Indes occidentales, après un assez court séjour aux îles des Amis. Maintes fois, le caractère soupçonneux et emporté du capitaine avait amené des scènes désagréables entre quelques-uns de ses officiers et lui. Cependant, la tranquillité qui régnait à bord de la Bounty, au lever du soleil, le 28 avril 1789, ne faisait rien présager des graves événements qui allaient se produire. Tout semblait calme, en effet, lorsque tout à coup une animation insolite se propage sur le bâtiment. Quelques matelots s’accostent, échangent deux ou trois paroles à voix basse, puis disparaissent à petits pas. Est-ce le quart du matin qu’on relève? Quelque accident inopiné s’est-il produit à bord ? Zie voor nog meer schrijvers van de 8e februari ook mijn blog van 8 februari 2018 en ook mijn blog van 8 februari 2015 deel 1 en ook deel 2. De Duits-Amerikaanse dichteres en vertaalster Lisel Mueller werd geboren op 8 februari 1924 in Hamburg als dochter van de pedagoog Fritz C. Neumann en zijn vrouw, de lerares Ilse Burmester. 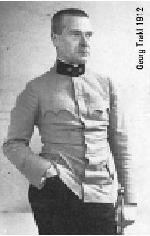 Fritz C. Neumann was tot 1930 leraar aan de Lichtwarkschule en vervolgens aan een Hamburgs Realgymnasium. Hij werd ontslagen uit het beroep van leraar na de overdracht van de macht aan de nazi’s in 1933 en was tijdelijk werkzaam als leraar aan scholen voor Duitse vluchtelingen in Frankrijk en Italië. In 1937 slaagde hij erin de Verenigde Staten binnen te komen en in 1939 kon hij zijn vrouw en twee dochters over laten komen. Daar vond hij eerst een baan als docent Duits en Frans aan het Evansville College in Evansville, Indiana, waar het gezin zich ook vestigde. 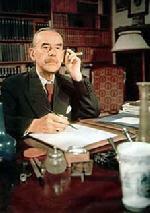 Lisel studeerde in 1944 af aan de Universiteit van Evansville. Ze trouwde met de musicoloog Paul Mueller, die als redacteur bij een juridische uitgeverij werkte en met wie ze twee kinderen kreeg. Ze woonden in Lake Forest, Illinois. 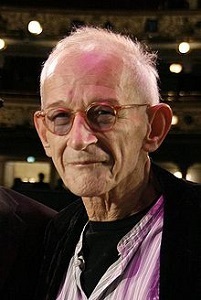 Paul Mueller stierf in 2001. 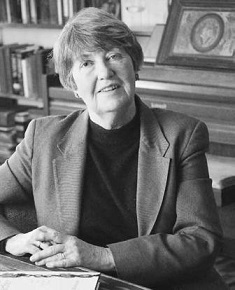 Lisel Mueller doceerde enige tijd literatuur aan de Universiteit van Chicago,aan Elmhurst College in Elmhurst (Illinois) en aan Goddard College in Plainfield (Vermont).In 1965 publiceerde Mueller haar eerste poëziebundel “Dependencies”. Haar essays en poëzie werden in verschillende tijdschriften opgenomen, waaronder de Chicago Review, Plowshares, de New England Review en Poetry. Mueller vertaalde ook gedichten van Marie Luise Kaschnitz en teksten van Anna Mitgutsch in het Engels. Voor de in 1980 verschenen bundel “The Need to Hold Still” ontvingzij in 1981 de National Book Award for Poetry. Als de eerste en tot nu toe enige Duitse dichteres ontving Lisel Mueller de Pulitzer Prize voor poëzie in 1997 voor haar bundel “Alive Together”. In 2002 ontving Mueller de Ruth Lilly Poëzieprijs, waaraan een bedrag van $100,000 verbonden is. When the moon was full they came to the water. and one with a silver cup. with glitter and silk threads? what good is the moon to a heartless man? in the soft, bottomless mud. or a letter not meant for you. that is a judgment. Otherwise nothing. The face in the mirror is still yours. and do not stare at your window. has turned its dark side toward you.